Need windscreen repair for a minor crack, or emergency windscreen replacement for a car that’s been involved in an accident? Whatever your needs entail, you can trust the team at National Windscreens to provide 24 hour windscreen repair and replacement services you can trust. Our experienced team offers a convenient mobile service in Atherton and beyond, including Wongabel, East Barron, Upper Barron, Yungaburra, Tolga, Kairi and Tinaroo. 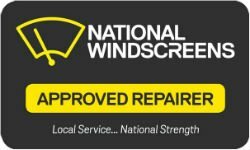 National Windscreens is proud to be a leading provider of windscreen repair and windscreen replacement in Atherton and surrounding areas, including Wongabel, East Barron, Upper Barron, Yungaburra, Tolga, Kairi and Tinaroo. Contact us today to learn more or make a booking for our services.